Todays Angel Flight took Captain John and co-pilot Doug Carlock (Our great mechanic) up to Pittsburgh PA to pick up passengers Aliza and Anthony (2 teenagers headed for Brainy Camp for a week)….. (Click here to find out about Brainy Camps) From Pittsburgh they headed back to Winchester VA were along with other campers they would be picked up by their camp ride. I (Nevin) was not able to go on this flight due to having some type of summer bug that I did want to spread around to anyone else (It takes a lot for me not to fly, but I figured this was the best decision) Doug is a great copilot and a top notch mechanic that keeps us safely in the air….Thanks Doug for taking my place ! 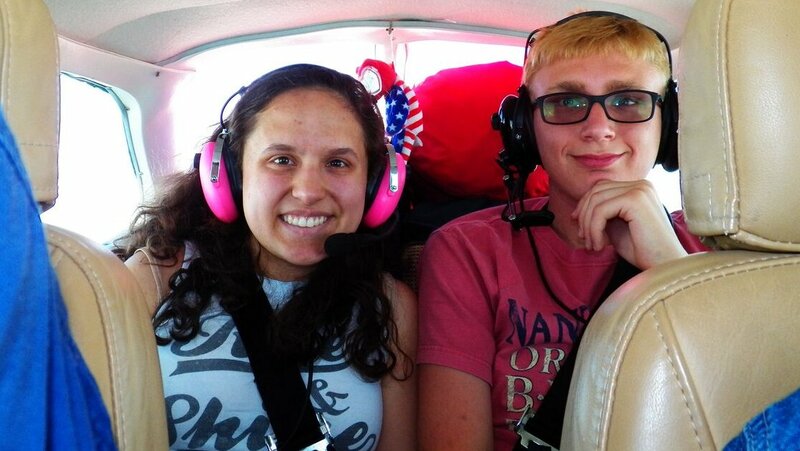 On Saturday, July 22nd, we will be flying Aliza and Anthony back home to Pittsburgh. Feel free to leave any comments……. we love them !